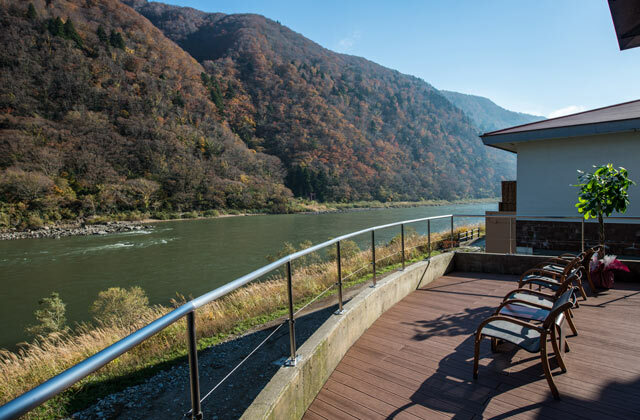 A hot spring inn renovated in 2014, with a view of the Mogami River from every room. After disembarking from the boat cruise on the river, the hotel is in walking distance. 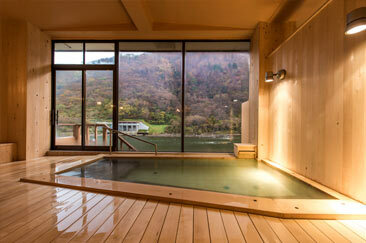 You can enjoy the hot spring facilities with a view of the river all year round. 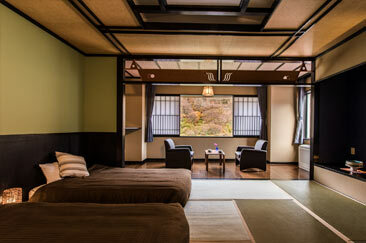 A multi-functional Japanese-style room with two beds. 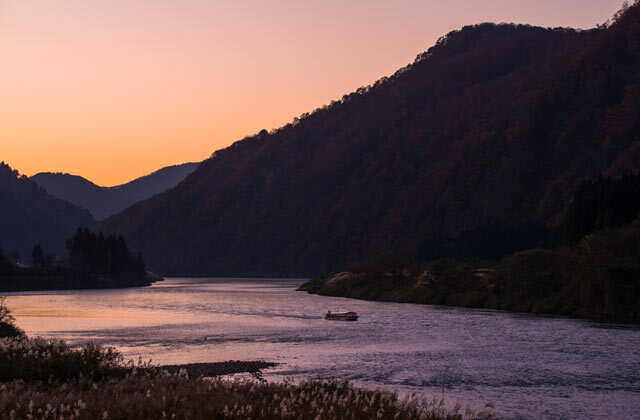 Enjoy Japanese and Western atmosphere at the same time with a view of Mogami River all year round. 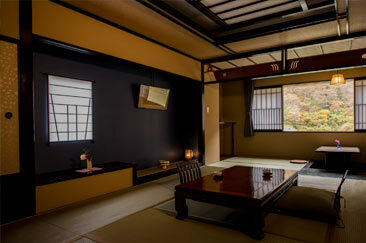 A room with all the essentials of Japanese style for you to experience a true Japanese stay. Relax and enjoy the view of nature all year round from your room. 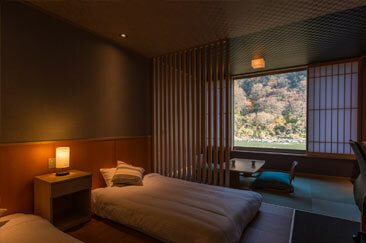 Enjoy the view of Mogami River from your room all year round.A multi-functional Japanese-style room with two beds. Enjoy Japanese and Western atmosphere at the same time. 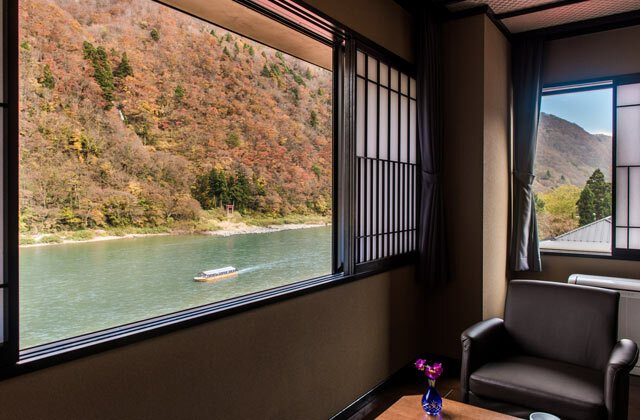 From the balcony of this room you can enjoy a close view of Mogami River all year round. 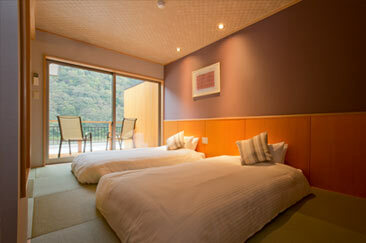 A multi-functional Japanese-style room with two beds. Enjoy Japanese and Western atmosphere at the same time. 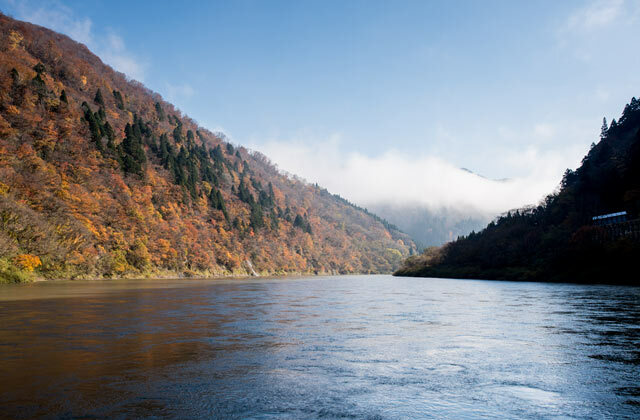 Enjoy the view of Mogami River and relax with the scent of wood while soaking in this large hot spring bath entirely made of wood. 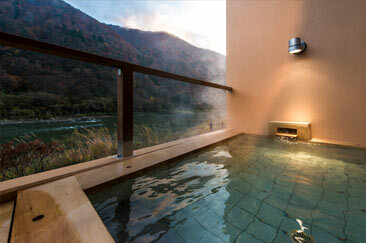 Enjoy the view of Mogami River and the hot water of this outdoor bath. The finest quality pork of the area, called Komenoko-pork, is characterized by its sweet flavor and softness. Taste two different flavors of Komenoko-pork with shabushabu. You can also try ten other types of dishes made from supreme igredients. 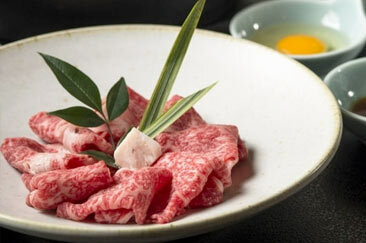 Yamagata’s top-quality beef called Yamagata beef is well-known for its melty flavor. 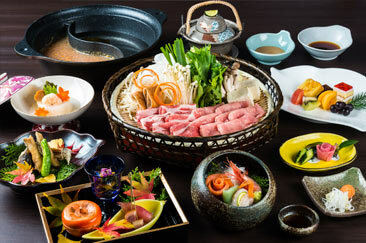 Enjoy original Beni-style sukiyaki made with Yamagata beef. 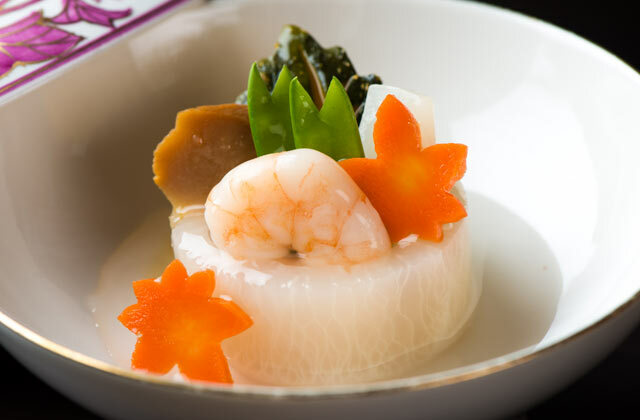 You can also try ten other types of dishes made with local Yamagata ingredients. 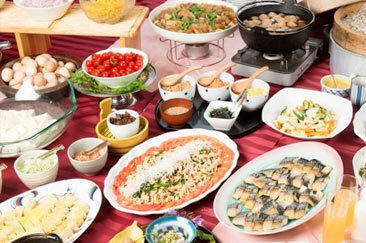 Japanese breakfast course composed mainly of local Yamagata dishes. There are about twenty stone steps before you reach the front entrance. No direct parking available at the front entrance. 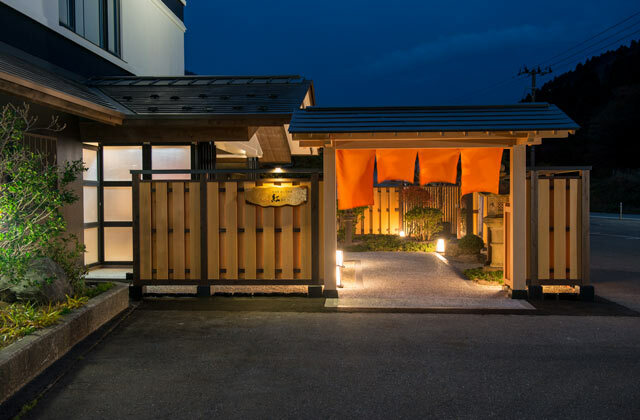 The hotel is an old Japanese-style wooden building over a hundred years old with no elevator. Please use the staircase to reach your rooms. For guests with walking difficulties, please contact us in advance.